Originally a popular Victorian breakfast dish, devilled kidneys sometimes make an appearance in today’s full-English fry-ups. It makes a lovely light lunch, or even a tasty starter. The sauce is particularly good. Set a medium-large frying pan over a high heat. When it is hot, add the lard or oil, followed by the kidneys. Don’t stir them straight away – give them a chance to brown a little before tossing them in the pan. After about 1½ minutes, add the brandy (if you’re cooking on gas it may ignite, so be careful). Let it bubble and reduce down, then add the cider vinegar, Worcestershire sauce, mustard, cayenne and fruit jelly. Stir to combine. Now stir in the cream and allow the liquor to bubble and reduce down to a thick coating consistency. Taste and adjust the seasoning or cayenne heat as required. Finish with freshly chopped parsley. 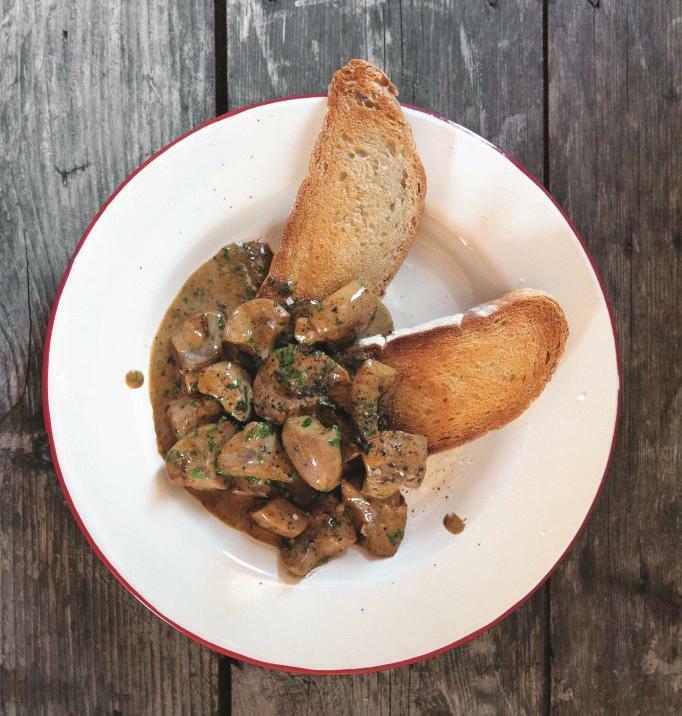 Serve the kidneys with fried bread, or good sourdough toast.